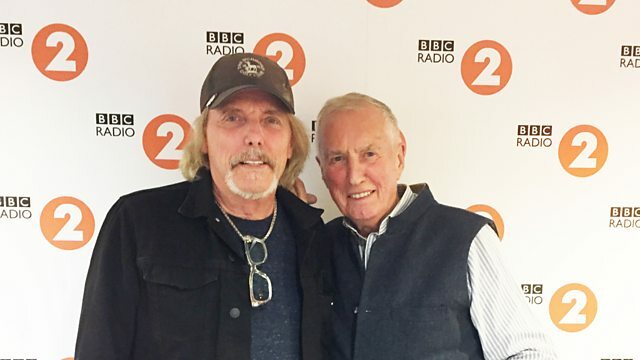 Scott Gorham, guitarist from Thin Lizzy and now the Black Star Riders, recalls the 70s with Johnnie Walker. Scott was born in California but came to the UK in the early 1970s to audition for Supertramp. While that particular project didn't come to fruition, another one did. Guitarist Scott met Thin Lizzy's frontman and bassist Phil Lynott and the rest really is rock n' roll history. Forging the band's twin guitar sound, Scott helped pave the way for Thin Lizzy to become one of the most powerful rock forces of the 1970s. When he eventually left Thin Lizzy in 1983, he left behind a legacy of studio albums from the 1970s that few can boast of, plus a legendary live album, 'Live and Dangerous'. After Thin Lizzy broke up, Gorham joined Phenomena II, where he met Leif Johansen (ex-A-ha and Far Corporation) with whom he formed 21 Guns, releasing three albums. He has also played with Asia, the Rollins Band, and Supertramp. Gorham's sister Vicki married Supertramp's drummer Bob Siebenberg. After playing in various incarnations of Thin Lizzy following Lynott's death in 1986, Scott eventually formed a brand new band, the Black Star Riders, in 2012. They have recorded three albums and are about to head out on a UK tour beginning in November 2018. Thin Lizzy - Greatest Hits.